In December 2013, Sony introduced the first modern mirrorless camera with a 35mm format sensor (or full-frame as it is often called). At the time, the only other full-frame mirrorless system was the legendary Leica M which, in addition to being based on a different kind of technology, is purely manual focus. Nearly five years later, the E-mount system faces much more direct competition. 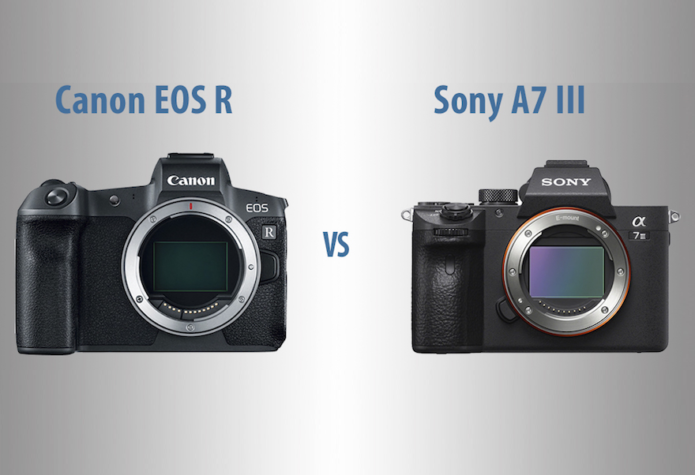 Although Sony recently became number one for full-frame cameras in the US, the two most popular camera brands – Canon and Nikon – have decided to fight back with two brand new mirrorless systems. 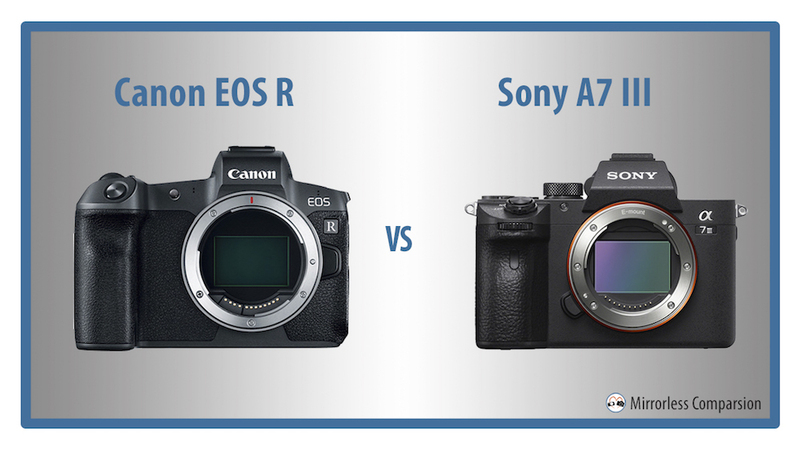 We’ve already covered the Nikon Z series, so this time we turn our attention to the new Canon EOS R. Here you’ll find the ten main differences between this new camera and Sony’s most popular product to date, the A7 mark III. The EOS R has a sensor with 30.3MP and a low pass filter to reduce aliasing and moiré. It is an updated version of the sensor found inside the two-year-old Canon 5D mark IV with sligthly higher nominal ISO and more autofocus points (more on this in the next chapter). The A7 III has 24.2MP, an AA filter and a front LSI chip that increases the processing speed of the camera, noticeably the continuous shooting speed (more on this further down). The Canon has a normal sensitivity range of 100 to 40000 ISO. An extended L mode is available (ISO 50 equivalent) as well as two H modes that push the values to 51200 and 102400 ISO. The Sony has wider normal range of 100-51200 ISO, the same pull value of ISO 50 and more extended values up to 204800 ISO. Both cameras can output 14-bit files with uncompressed or compressed options (called C-Raw on the Canon). A curious feature of the EOS R is that when the camera is turned off, the mechanical curtains of the shutter are closed to protect the sensor in case you decide to change lens. If you are used to Sony A7 cameras, you may noticed that the same thing happening randomly when you turn off the camera, however it is only temporary and the curtains usually re-open after a few seconds. Both cameras feature an advanced autofocus system with on-sensor phase detection points. This means that each focus point includes two small sensors that read the incoming light. The phase difference between the two sensors tell the camera how much correction it needs to apply to have the subject in focus. The technical difference is how these phase detection points are incorporated on the two cameras. With the Dual Pixel CMOS AF technology found on the EOS R, each pixel has two photodiodes on the sensor. 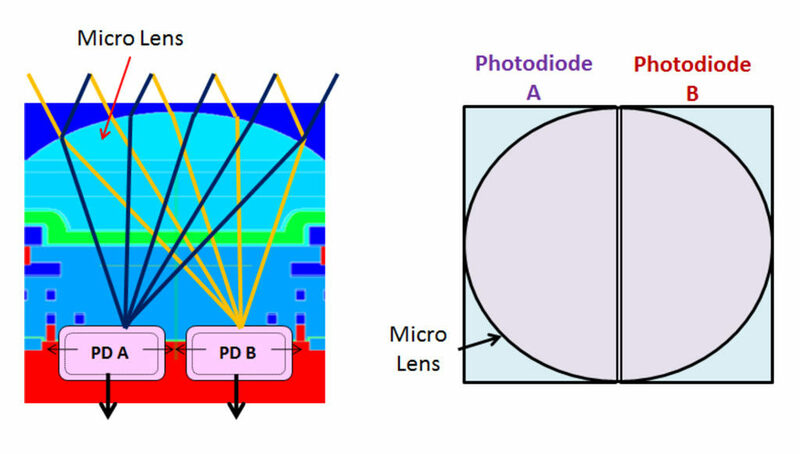 They are used together to create the image and analysed separately to calculate the phase difference. On the Sony, the phase detection points are dedicated solely to phase difference, not to creating the image. On the Canon, not every pixel is used for autofocus purposes, but it’s interesting to note that the EOS R has an impressive total of 5,655 points which is higher than any other camera on the market. The focus point area covers 88% of the width and 100% of the height of the sensor. 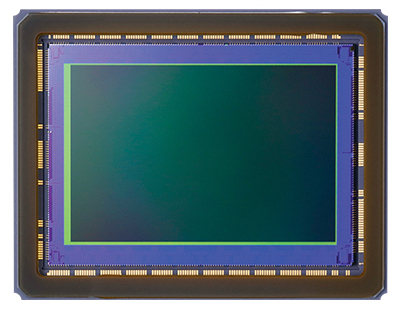 The A7 III features 693 phase detection points that cover 93% of the sensor surface, as well as 425 contrast detection points. Canon claims that the EOS R has the fastest autofocus in the world at 0.05s. Sony hasn’t shared any official specifications regarding the speed. What we do know is that the A7 III is one of the best mirrorless cameras when it comes to AF performance. In fact, we found that it wasn’t far off the flagship A9 which is the very best we’ve tested so far. We will be very curious to put the two cameras side-by-side to see how much of a difference there is. The minimum sensitivity for the EOS R autofocus is -6Ev with an f/1.2 lens, which sounds quite impressive but the minimum sensitivity measured for the A7 III is -3Ev using an f/2 lens. This means that with an f/2 lens the Canon should be able to focus at around -4.5Ev which is of course still better than the Sony. The EOS R has face and eye detection but the latter only works in Single AF. The A7 III can use face or eye detection in single and continuous AF. 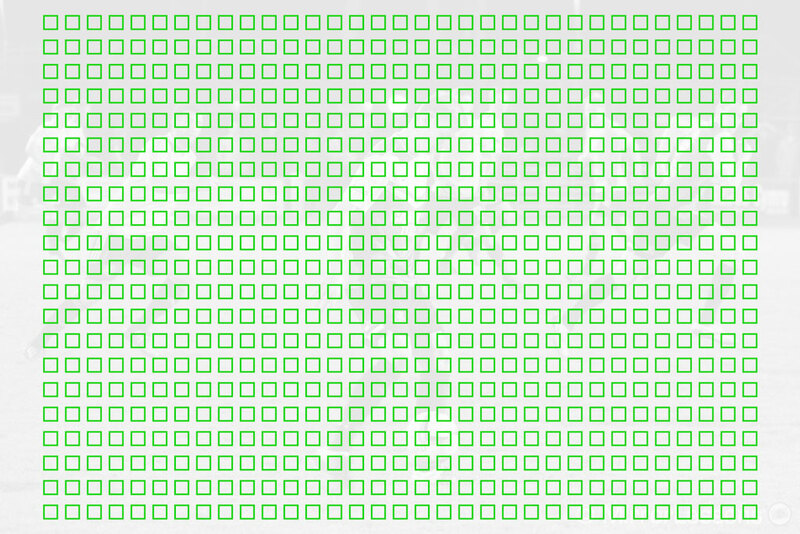 EyeAF is very efficient as it places a single phase detection point on the eye of the subject. It is easily the most effective eye detection system on the mirrorless market today. The A7 III has a number of focus assist features including magnification and peaking. On the EOS R there is an additional setting called Dual Pixel Focus Guide, which tells you if the subject is in focus by highlighting a rectangle in green. It also tells you if you need to lengthen or shorten the focus distance with arrow indicators on screen. The EOS R has a special mode called Dual Pixel RAW which is the same found on the 5D mark IV DSLR. Thanks to the Dual Pixel CMOS AF points, the EOS R can save two images inside a special DPRAW file. The first contains the combined information of both signals read by the phase detection points (A+B), whereas the second contains only the first signal (A). This means that this special RAW file contains the normal image, as well as depth information related to the focus distance. When the file is opened in Canon’s Digital Photo Professional software, you can use this additional data to make micro adjustments to the focus point. It is especially useful for portraits as cameras often focus on the eyebrow rather than the eye itself. You can also make small changes to the bokeh and flare. Note that when Dual Pixel RAW is activated, the maximum burst speed is 2.2fps. The Canon EOS R can shoot up to 8fps but you need to reduce the speed to 5fps to have continuous AF. The latter will give you speed priority instead of focus. To get continuous AF with focus priority, the speed has to drop to 3fps. The Sony A7 III can do better, with a top speed of 10fps with complete AF Tracking and focus or speed priority depending on your needs. As for the buffer, the official specifications mention 47 RAW files or 78 C-RAW files with an UHS-II card at the maximum burst. In JPG format, you get around 100 shots. The A7 III does better once again with 89 compressed RAW or 172 Fine JPG files. The camera can perform even better at 8fps. In our tests, it lasted for more than 30 seconds with RAW files and never slowed down with JPGs. Not a lot to say here about the new Canon: the EOS R doesn’t feature in-body stabilisation so it must rely on the optical stabilisation of select lenses. In video mode, it has an electronic stabiliser option that can work in conjunction with optical stabilisation. 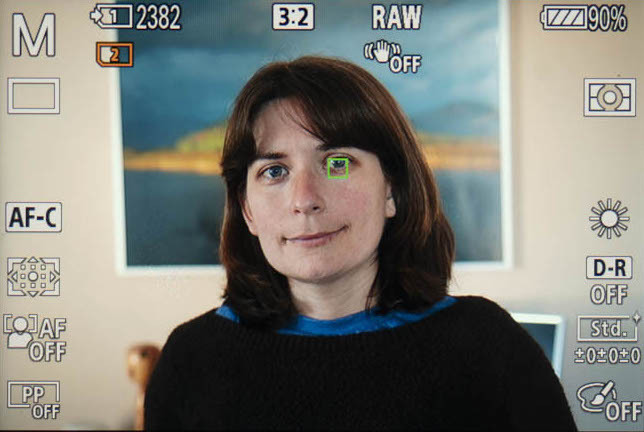 Note that with this option, the field of view is cropped further to allow for digital correction. The A7 III is equipped with 5-axis stabilisation on the sensor and is rated at 5 stops by CIPA standards. The biggest difference is that you have stabilisation with any lens including old manual focus types. In our tests, we found it to be efficient down to 1/10 of a second. After that the results were much more hit and miss. 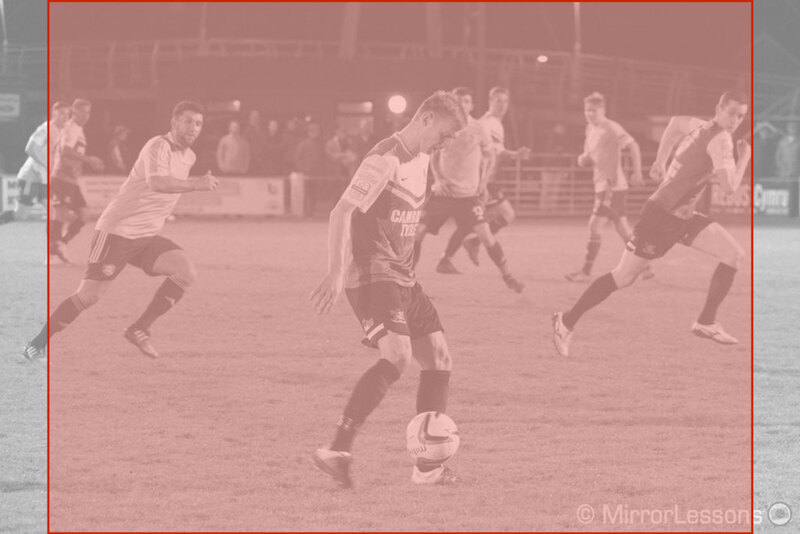 I did manage a sharp result at 1/3s with the 16-35mm GM at 16mm, but overall the keeper rate is much lower. For video, it does a decent job but still isn’t the best on the market. The EOS R comes with interesting specifications for video. It can record 4K up to 30fps with two different compression methods: IPB or ALL-I. The latter means that each frame is compressed and treated as a separate image – which helps in post production – whereas with IPB, not all the frames are kept. With ALL-I, the Canon can record up to 480Mbps in 4K, whereas the bitrate drops to 120fps with IPB compression. The A7 III records 4K up to 30p and 100Mbps using the XAVC S codec which uses the Long GOP (IPB) method. In 1080p, the Canon goes up to 60fps with 180Mbps (All-I) or 60Mbps (IPB). You can access faster frame rates up to 120fps in HD mode (720p) and the recording is limited to 7 minutes. The Sony can record 1080p up to 120fps with sound or conform the slow motion footage in camera for 25 or 30p output. It uses the XAVC S codec once again but with a bitrate of 50Mbps, or 16Mbps if you comform the slow-motion in camera. The normal ISO sensitivity changes for the Canon: it only goes up to 12800 when recording 4K, and 25600 with Full HD, whereas the Sony maintains its normal sensitivity up to 51200 ISO. Both can still use the extended values up to 102400 ISO but not the pull 50 extension. 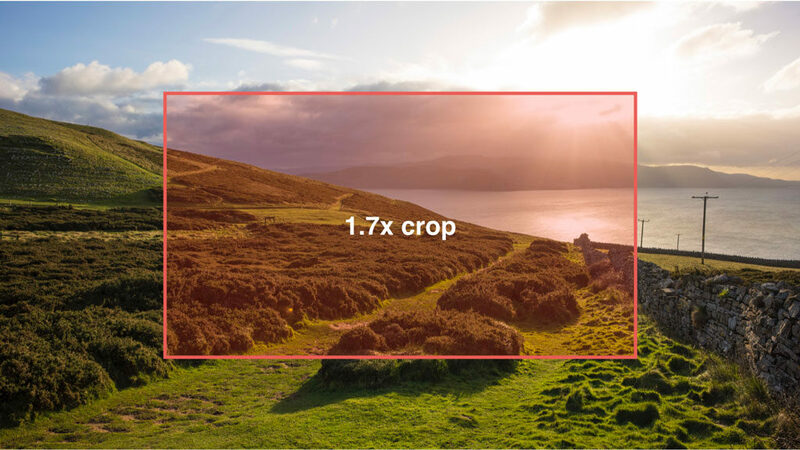 The A7 III can record in 4K using the entire width of the sensor, so there is no crop and no change in the native field of view of your lens. It does this with full pixel readout which means it collects 6K worth of data that is the downscaled to 4K for better detail rendering. The EOS R has more megapixels and applies a heavy crop of 1.7x when recording 4K in order to preserve full pixel readout and better quality. This basically means the camera records a narrower field of view than the Super35/APS-C format (1.5x), which by the way is an option on the Sony. As for the dedicated image and colour profiles, the EOS R offers Canon Log for both internal and external recording, and can output 10-bit 4:2:2 via the HDMI port. The Sony is more complete when it comes to profiles designed for video, with no fewer than 10 Picture Profiles that can be customised with various colour modes and gammas, including HLG (HDR), S-Log2 and S-Log3 (all available for internal recording). The HDMI output is 8-bit however. The EOS R is larger than the A7 III in terms of width (almost 1cm) as well as being slightly taller and deeper. We haven’t had the chance to see it in person yet but the first thing that catches your eye is the taller and more prominent grip of the Canon. Both cameras feature a magnesium alloy chassis and weather sealing. The Canon is only 10g heavier than the Sony however (660g vs 650g). The EOS R features lots of dials and buttons, with 14 function buttons and two dials that can be personalised. By comparison the A7 III has just 10 custom buttons. 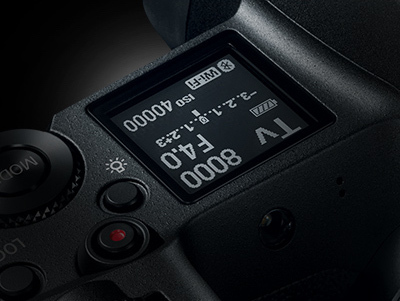 Both cameras feature a personal My Menu page and the new Canon RF lenses feature a function ring that can be assigned to different settings just like on the Nikon Z series. Surprisingly, the Canon lacks a classic shooting mode dial on top (replaced by an Off/On dial) as well as an AF Joystick on the rear. To change shooting mode, you press the dedicated Mode button in combination with the rear dial. More interesting is the Multi Function Touch bar on the rear near the EVF. It supports four different gestures and can be configured to control various settings. It’s the first time this kind of user interface has been integrated into a mirrorless camera. 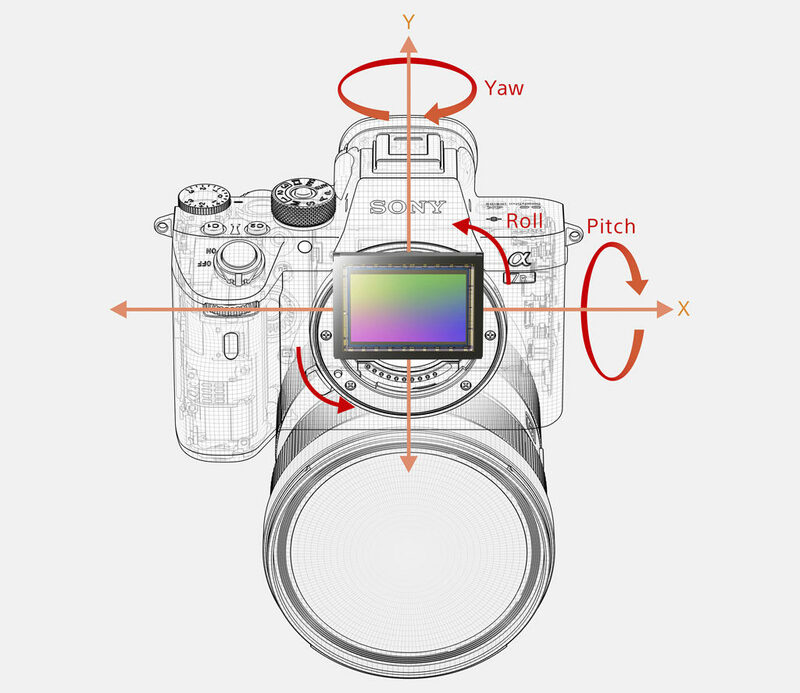 The A7 III retains an exposure compensation dial on top as well as a rotating command dial on the rear rather than the 4-way pad (or cross-keys as Canon calls them). Concerning the physical connections, the Canon surprisingly accepts only one memory card, whereas the Sony comes with a dual slot. Both use SD cards with UHS-II compatibility (slot 1 on the Sony). Both products have a USB Type C port, an HDMI output (Type C on the Canon, Type D on the Sony), a microphone input and a headphone output. They support WiFi and Bluetooth connectivity. The EOS R has an electronic OLED viewfinder with 3.69 million dots of resolution, a 23mm eyepoint and a magnification of 0.76x. 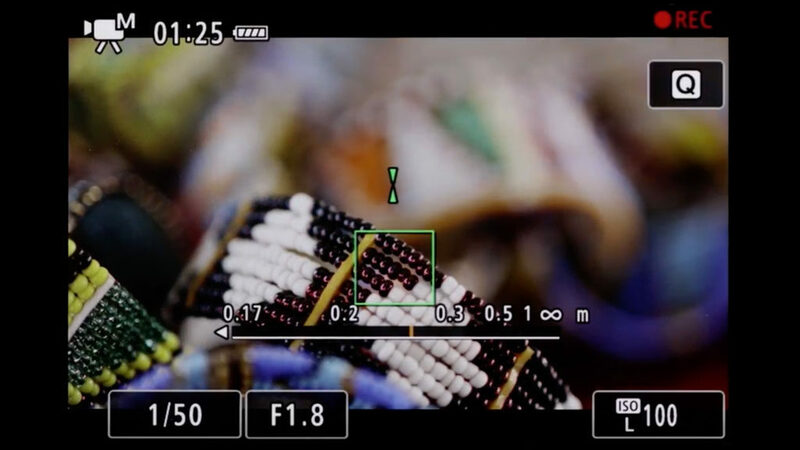 The A7 III EVF is an OLED panel with 2.36M dots and a slightly higher magnification of 0.78x. The eyepoint is the same length. The main difference concerns the monitors. To begin with, the EOS R has a top LCD panel that displays the settings used as well as how many shots are left on the card and the remaining battery life, just like high-end DSLRs. Then we have the rear LCD screen which has better resolution (2.10M vs 0.9M dots) and is slightly larger than the Sony (3.15 vs 3.0 inches). Furthermore, the screen is a multi-angle type unlike the one on the A7 III which can only be tilted up or down. Both rear monitors are touch sensitive. On the Canon you can move the focus point (even when composing with the EVF), change settings and review your photos in playback mode. On the A7 III, the touch screen can only be used to move the focus area (when using the EVF too) and swipe through photos in playback mode. The EOS R has a rating of 370 (LCD) or 350 (EVF) frames per charge. These numbers can be boosted to around 450 or 560 when using the Power Saving mode or the Eco mode. 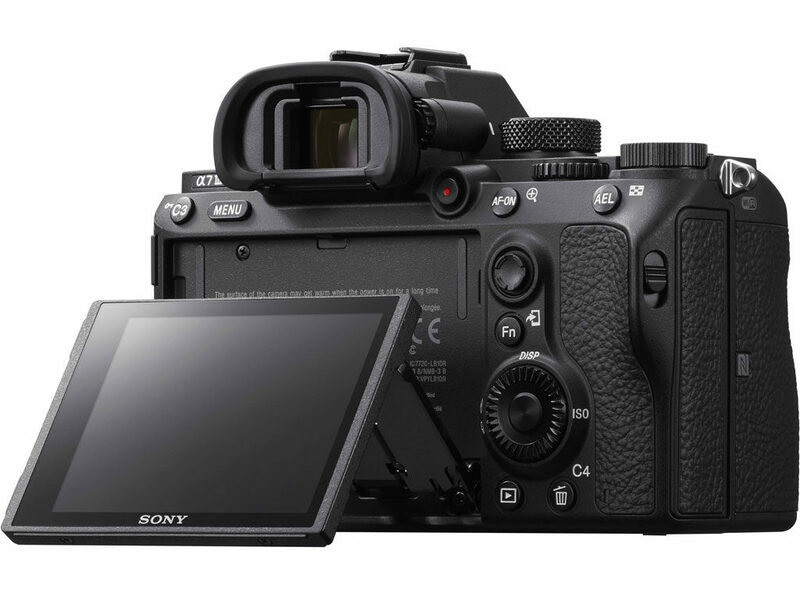 The official specifications for the A7 III are more promising at 610 shots using the EVF, or 710 shots using the rear monitor. Of course these figures serve more as a reference than anything else and are often (if not always) inaccurate in real world situations. With the A7 III, we’ve easily managed more than 2000 shots without draining the battery completely, so we’ll be curious to see what we can get with the EOS R.
Both cameras can be charged via USB and the two companies offer an official battery grip (BG-E22 for the EOS R, VG-C3EM for the A7 III). Note that unlike the Canon, the A7 III doesn’t come with a battery charger in the box so it must be purchased separately. 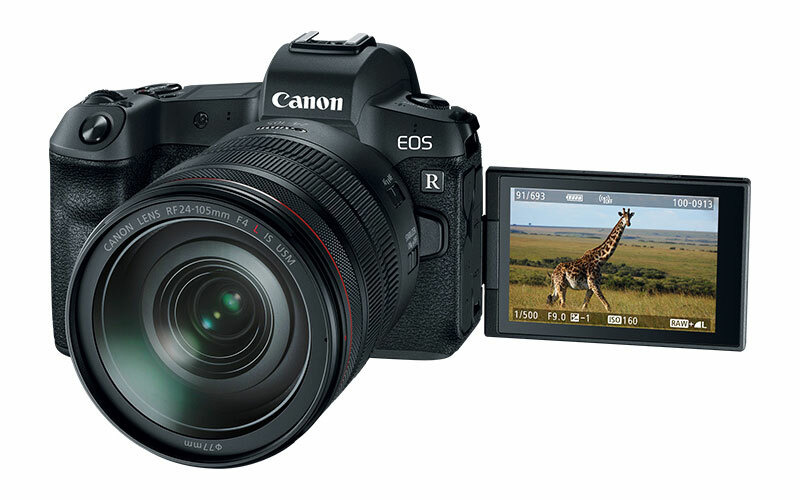 The EOS R launched with the retail price of $2300 / £2350 / €2730 which is more expensive than the A7 mark III which can be found for around $2000 / £2000 / €2300. And then we have the lenses. The EOS R is a brand new mirrorless system for Canon, so it doesn’t use the same mount as its APS-C mirrorless series. The new RF mount is 54mm large with a flange distance of 20mm, whereas the EF-M mount is smaller with a diameter of 47mm and a flange distance of 18mm. The RF mount is also larger than the Sony E-mount, which is used by Sony for both its full frame and APS-C cameras. The Sony mount is much closer to the EF-M specifications (46mm diameter and 18mm flange distance). A new mount obviously means new lenses, and Canon has decided to launch its new camera with a rather interesting selection: a 28-75mm f/2, 24-105mm f/4 IS, 50mm f/1.2 and 35mm f/1.8 IS Macro. So not only is Canon manufacturing fast lenses from day one, but it is also launching a world’s first 28-75mm with a constant f/2 aperture. However it is important to note that, unlike the Sony E-mount system, you won’t be able to use the APS-C EF-M lenses on the full frame RF camera or vice-versa. Canon will also launch a series of interesting adapters for its EF DSLR lenses, including one with a function ring and one that accepts drop-in filters which should prove very interesting for video shooting. Sony has produced an excellent lens catalogue over the past four years. The full-frame E-mount system now has a total of 27 native lenses from Sony, to which you can add a good selection from Zeiss and Samyang. What’s more, Sigma and Tamron recently joined the E-mount system as well. At this stage, it looks as if Canon won’t open up the RF mount specifications to third parties (source: Jordan Drake/DPreview). Finally, Sony users have access to DSLR lenses via various adapters, including the possibility to use Canon EF lenses with good autofocus performance (it will vary from lens to lens / adapter to adapter). My first impressions of the Canon EOS R aren’t so different from my thoughts about the Nikon Z6 and Z7: it doesn’t offer anything revolutionary when it comes to technology, except for those 5,655 focus points which look outstanding on paper. If the autofocus is as fast as Canon promises, it will be even more of a shame that the continuous shooting speeds aren’t equally impressive. The video capabilities are also interesting but that 1.7x crop in 4K is difficult to accept. For now, it seems that Canon is concentrating its efforts on making a camera that provides excellent ergonomics and perhaps most important, a surprising line-up of native lenses. Like Nikon, they decided to design a large mount to accommodate a new generation of high performance glass and we are really curious to see how they will perform (especially that 28-75mm f/2). Still, A7 III remains a tough camera to beat. Not only does it offer faster shooting speeds and a deeper buffer, but it also features tried-and-tested video and autofocus capabilities, 5-axis stabilisation, and has a more complete offering of native lenses from Sony itself and third-party brands. That being said, the RF system is brand new and we are really curious to see in which direction it evolves. And we’re definitely look forward to pitching it against the A7 III and other models at some point!